Pay Your Way with PayPal. Use your First United debit card at millions of places with PayPal. Simplify your online shopping experience by easily linking your First United debit card to a new or existing PayPal account. Pay with just a few clicks on all your favorite sites anywhere PayPal is accepted. Get started today! This feature is completely free and available by logging in to your Online Banking account or accessing the My Bank Personal app. Don't have the app yet? Visit our Personal Mobile Banking page to download and simplify your banking needs. Simply log in to the My Bank mobile app for personal accounts or Personal Internet banking to get started. 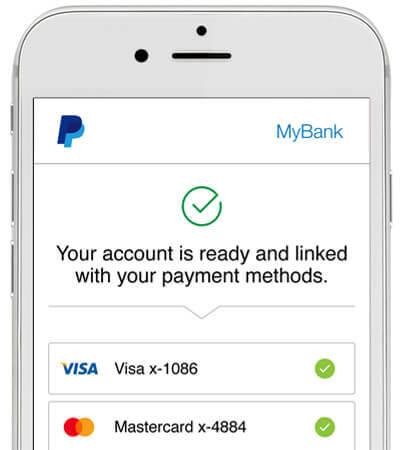 Add or update your First United debit card to a new or existing PayPal account and begin using! Manage your linked PayPal account and view balance information anytime. Make purchases anywhere PayPal is accepted. PayPal does not share your full payment information with merchants, keeping transactions secure and helping to maintain our commitment to providing secure and convenient online payment methods. Shop online and checkout quickly at hundreds of favorite online stores. Earn My Bank Rewards Points rewards on debit card purchases. Send money to friends and family without sharing your financial information. This user agreement is a contract between you and PayPal, Inc. that governs your use of your PayPal account and the PayPal services. It applies to U.S. PayPal accounts only. For an individual to open a U.S. PayPal account and use the PayPal services, you must be a resident of the United States or one of its territories and at least 18 years old, or the age of majority in your state of residence. 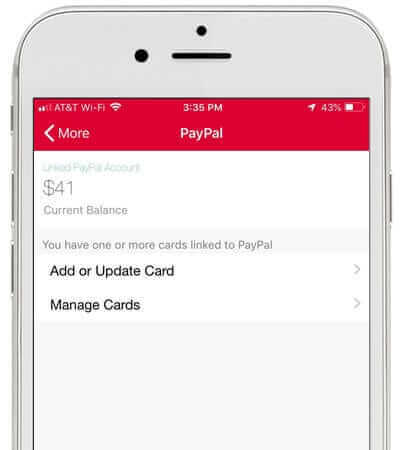 For a business to open a U.S. PayPal account and use the PayPal services, the business must be organized in, operating in, or resident of, the United States or one of its territories. Please read carefully all of the terms of these policies and each of the other agreements that apply to you. We may amend this user agreement at any time by posting a revised version on our website. The revised version will be effective at the time we post it. If we change the user agreement in a way that reduces your rights or increases your responsibilities, we will provide you with 30 days’ prior notice by posting notice on the Policy Updates page of our website. Among other things, the Agreement governs all text, articles, photographs, images, graphics, illustrations, creative, copy, artwork, video, audio, music, podcasts, ringtones, games, trademarks, trade names, service marks, and other brand identifiers, designs, plans, software, source and object code, algorithms, data, statistics, analysis, formulas, indexes, registries, repositories, and all other content, information, and materials (collectively, "Content") available on or through the Service, whether posted, uploaded, transmitted, sent or otherwise made available by us, our licensors, vendors, and/or service providers, or by you, and/or other users or third parties, including any such Content uploaded manually or bookmarked by you and/or other users.